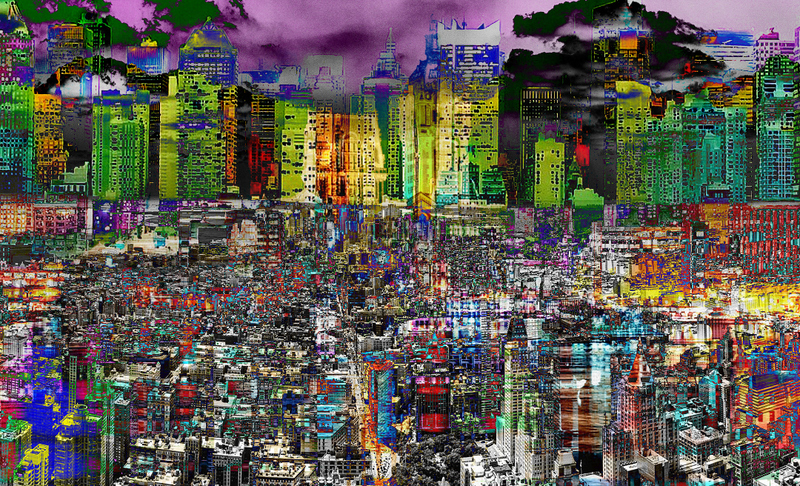 City art featured above is called New York City Lights by city art artist Mary Clanahan. City Art.. This gallery is new, I just began the city art series last week. It started with some artwork I made for a city garden project. I liked the look of them and the way they made me feel while making them so much, I kept going. I have quite a few city art pieces now and feel confident enough in them to add them to my Fine Art America store as city art prints for sale. There has been great feedback about my city art which I like to call cityscapes. Not sure if that is actually a thing but it sounds good to me. I created them with my favorite cities in mind. There are bits and buildings from Boston, Chicago and New Orléans as well as entire city blocks from New York City. I’ll be making the city art series for a while, I can’t see getting tired of making them any time soon. If you would like me to make city art with your city, just contact me here or on Twitter @maryzenx, Google or Facebook.